With the new generation of devices, the tried-and-tested Sunny Island battery inverters are easier and more affordable to install than ever – both in your home and in commercial applications as well as to the utility grid and in off-grid locations. The Sunny Island has been installed more than 70,000 times worldwide. 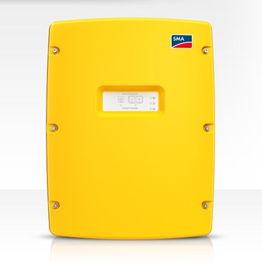 With the new generation, installers and PV system operators benefit from an even more user-friendly battery inverter. Thanks to its integrated user interface and standard WLAN and Ethernet interfaces, the Sunny Island can be immediately and easily configured and monitored via smartphones or tablets. The Sunny Island has maximum flexibility, from operation in remote off-grid areas to commercial or home energy management. It gives planners total freedom in the size and type of system, the battery and the type of energy generation. Works with self-consumption systems, battery backup systems and off-grid systems. As a core element in the SMA Flexible Storage System, the Sunny Island temporarily stores the solar power from the system. It automatically controls the power consumption in the home in conjunction with the intelligent Sunny Home Manager 2.0 energy manager. Solar power can then be used 24 hours a day – both in your home and in commercial enterprises. The Sunny Island provides an efficient, safe and consistent electricity supply in commercial applications such as agricultural holdings, hotels, supermarkets and schools. It balances out load and demand peaks and takes on electricity supply during grid failures. It's high protection class, wide temperature range and exceptional overload capacity always provide the kind of security in the electricity supply that is needed for off-grid use. Intelligent load and energy management ensures operation even in critical situations and allows any appliance to be switched on even in the event of high inrush currents or harsh ambient conditions. The Sunny Island runs reliably under even the most extreme conditions – without compromising its efficiency.